Lady Gaga won four trophies across continents on one of cinema and music's biggest award nights on Sunday. 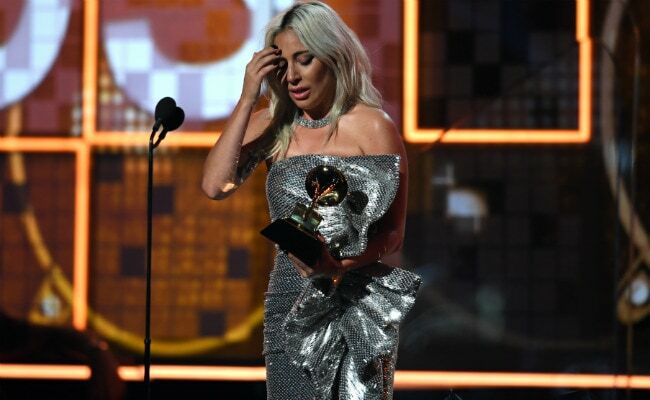 Lady Gaga went on the stage thrice at the recently concluded Grammys in Los Angeles, and hence, she had to miss the BAFTA awards in London, where A Star Is Born won Best Original Music. Overwhelmed with the big wins, the 32-year-old pop sensation put out tweets thanking fans for the honours and also hoping only if she could be at two places at once. "I can't believe we just won Best Original Music BAFTAs. I wish so much I was there but am at the Grammy's to show them our love as well. We made a film about music. This means the world to me. Thank you to all our fans we love you so much, we wouldn't be here without you," she tweeted earlier on Sunday.